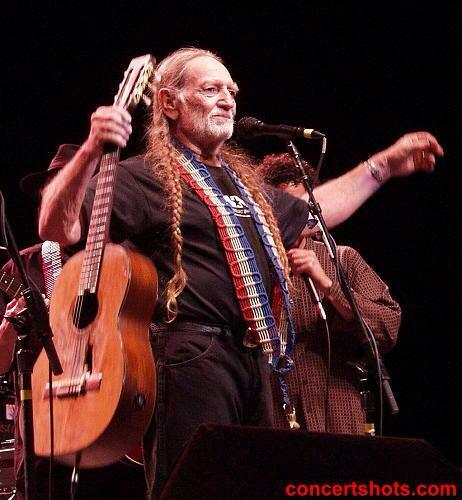 Thanks, Phil Weisman, for finding these cool photos of Willie Nelson & Family. Waylon Payne plays at the Blue Moon Farm in Silverhill, Alabama, in 2012. Waylon’s dad joins him for the set, along with Jon Cook, Riley Yielding, and Sergio Webb. When Baldwin County guitarist Jody Payne died in August, his passing drew a response from music fans nationwide thanks in large part to Payne’s long association with Willie Nelson. Now plans are in place for at least two tribute events at which area musicians will pay their respects. The first takes place Sunday, Oct. 20, at American Legion Post 199, 700 S. Mobile St. in Fairhope. Plans call for the event to take place at the post’s beach stage, though it will be moved indoors in case of inclement weather. Music starts at 3 p.m. There is no admission charge. Listeners are encouraged to bring chairs and blankets, but coolers and glass containers will not be allowed on the beach. The venue’s tiki bar will be open and food will be available. Musicians interested in participating should contact host Alan Hartzell via e-mail at alanhartzellmusic@gmail. The event takes place from 2 p.m. to 6 p.m., and there is no admission charge. For more information, visit www.thefrogpondatbluemoonfarm.com. Payne toured with Nelson from 1973 through 2008, when he retired from touring. A 2011 Press-Register profile by Jim Hannaford described him as playing occasional gigs, teaching lessons at Picker’s Paradise in Stapleton and generally taking advantage of time to relax and enjoy life with his wife, Vicki. His death at age 77 was attributed to cardiac problems. His passing was noted in industry media outlets such as Rolling Stone and Billboard. On the morning of Saturday, August 10, 2013, the world lost a true giant of Country Music when Jody Payne was called home. 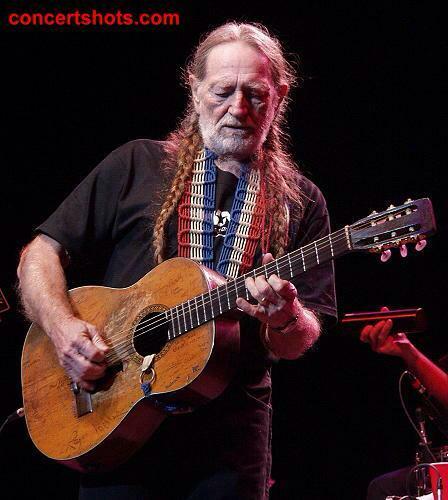 Like the iconic “Red Headed Stranger” that he spent so many years making music with, Jody was a master of the guitar, a great contributor to the Willie Nelson and Family Band “Sound” and had a profound musical influence on an entire generation of musicians. 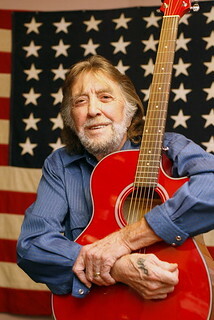 Born on January 11,1936 in Garrard County, Kentucky Jody began his musical journey playing Bluegrass with Charlie Monroe (Brother of Bill Monroe) and eventually met up with notable Kentucky pickers including rockabilly innovator Orangie Hubbard and Dillard Anderson (Uncle of the fiery fingered guitarist Scotty Anderson). After moving to Norwood, Ohio (more on this writers personal connection with that later) to finish out High School, Jody was drafted into the United States Army where he served two years before landing in Detroit, Michigan which led to a stint playing with Merle Haggard. 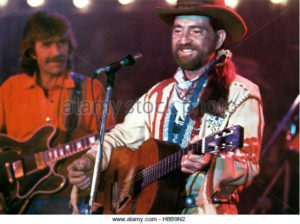 He would also later play with Tanya Tucker and Leon Russell. 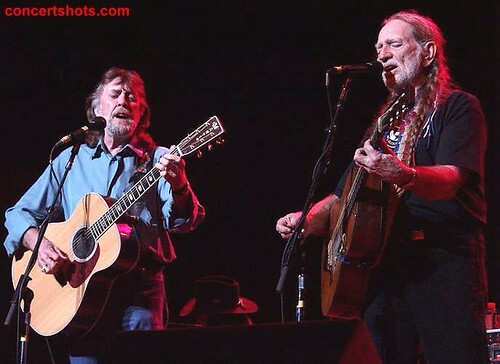 When Jody met Willie Nelson, Ol’ Willie was playing bass in Ray Price’s Band and in 1973 was putting together what would become the classic Willie Nelson and Family Band lineup. 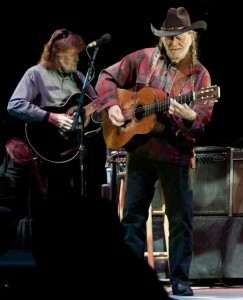 It was from 1973 until his retirement in 2008 that Jody took his music all around the World with Willie. What a TEAM they were! Jody always said, “I play what Willie DOESN’T play. 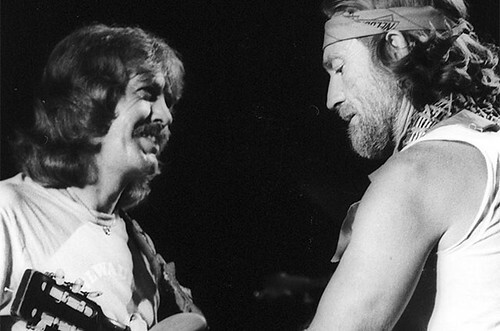 I lay down a foundation for Willie to improvise and then I get my own licks in to fill it all up. 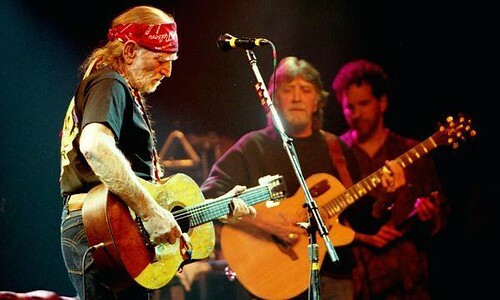 Sometimes the best music is the space ‘between’ the music and notes and that’s where I try to fit in and bring us all together.” Jody played an integral part in the making of such ground breaking albums as Willie’s Red Headed Stranger, Honeysuckle Rose, and Stardust to name but a few. In the LIVE shows, Jody was known for singing Merle Haggard’s “Workin’ Man Blues” and also taking a turn as Willie’s duet partner for classics like “Seven Spanish Angels” and ”Pancho and Lefty.” His voice was totally unique with a timber that was both gravelly and silky at the same time. He was Country to the bone, but Jody had SOUL and he could also Rock N Roll as is evident on the awesome cover of “Heartbreak Hotel” with Jody, Willie and Leon Russell. They completely took one of “The King,” Elvis Presley’s signature numbers and turned it into their own foot stompin’, raucous, roadhouse blues jams complete with burning guitar solos from both Jody and Willie and Mickey Raphael’s Harmonica ride bringing the song to a feverish pitch. When asked about how that particular version came about, Jody replied, “We were just havin’ fun and jammin’ and thought we’d take ‘em back to Memphis. Plus, I got to throw in a few of my old friend Lonnie Mack’s tricks.” Check It Out. 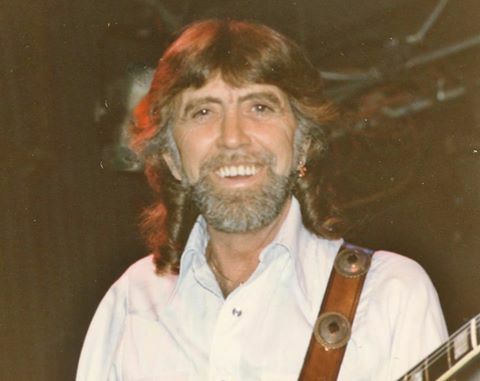 Jody also appeared with Willie on the silver screen in the movies “Honeysuckle Rose” and “Songwriter” as well as numerous television appearances including the classic Austin City Limits. It was on a string of Tour dates back in 1997-1998 serving as the opening act for Willie Nelson that I got to finally meet Jody in person. I had no idea at the time that we would become the best of friends and family over the years. The first show was in Owensboro, Kentucky and I came out and played a 30 minute solo acoustic set to open the show. I had long been a huge fan of Willie Nelson and Family and had even dedicated my 1st solo album My Heroes Have Always Been Cowboys to Willie, Waylon and David Allan Coe. 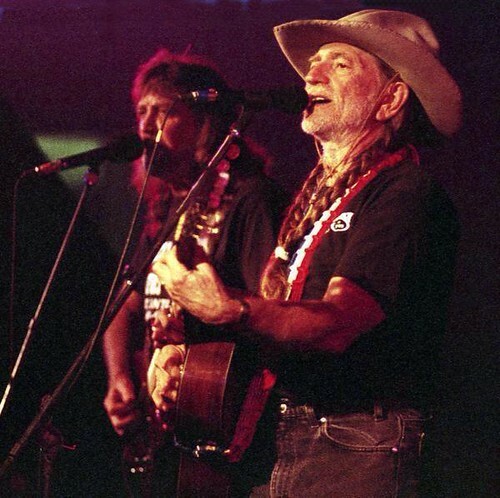 That night, being young and excited to play in front of my heroes, I played ”My Heroes Have Always Been Cowboys” and I also played “Will The Circle Be Unbroken” and dedicated them to Willie and Jody and all of the Family Band. The late, great bass player Bee Spears came to me at the end of my set and said, “Thanks for playin’ our songs kid,” and Jody came up and introduced himself, shook my hand graciously told me, “That was really great, son. Could I please have one of your CD’s, I really enjoyed your music.” I was in hog heaven with my Honky Tonk Heroes and then I realized that in my “youthful exuberance” I had just played two of Willie’s tunes right before he was going play them! Mortified that I may have just blown my chance to ever jam with them again, I told Willie that I had just messed up and sang their songs in my set. Willie just smiled that devilish grin of his and asked “Well did they like ‘em?” I nervously said, “Yeah they seemed to,” and Ol’ Willie just cracked up, patted me on the shoulder and said, “Well do ‘em again next time.” I let out a huge sigh of relief, pleasantly surprised that there would indeed be a “next time.” The so called “next time” ended up being at Ft. Lewis in Washington State. 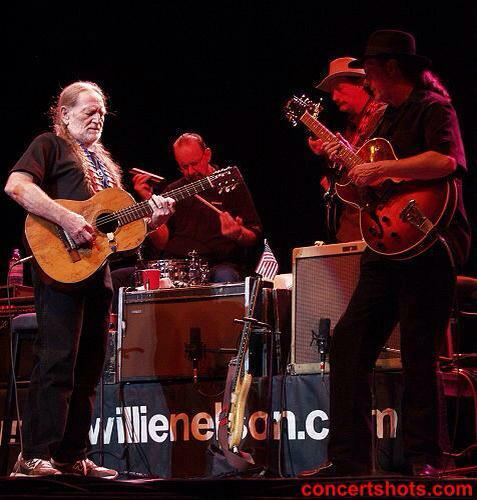 I was on the bill with Willie Nelson and Jimmie Dale Gilmore and had hopped a plane out to do the show. 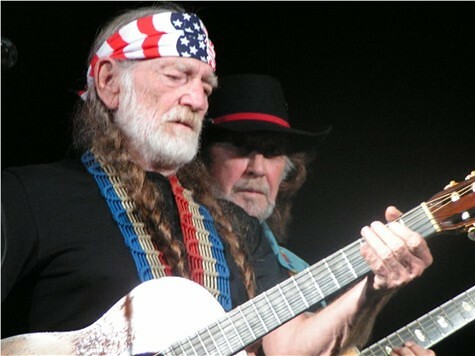 Guitarist Waylon was part of the Willie Nelson & Family band for 35 years before he retired in 2008. Baldwin County Coroner Stan Zinson says Payne died Saturday morning, at a local hospital. He said Payne got up early in his home in Stapleton, Alabama, feeling ill, and his wife Vicki called an ambulance.